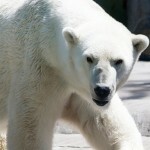 When most people think about global warming they think about melting ice caps and polar bears running out of ice. While those may be real environmental issues, the real problems will result from rising sea levels that could create nightmare situations for many people living on or near the world’s coasts. Hurricanes will increase in number and inflict more damage, and entire villages, towns, cities, and mega-cities might be forced to migrate to higher ground or become environmental refugees. Technology seems to be our only hope out of our global warming situation since last year in 2010 was the worst year for greenhouse gas emissions on record. The world is not slowing down, in fact, it is accelerating towards the worst effects of global warming. We can all do our part to help lessen the impacts, but it will take global leadership and cooperation to solve this global crisis. It is important for the world to monitor and collect data that give us a clear understanding of the causes of climate change and its effects. Data sets that are currently being monitored are sea levels, global temperatures, and greenhouse gas concentrations in the atmosphere. According to the US Environmental Protection Agency, since the year 1750, humans have considerably increased the amount of greenhouse gases in the atmosphere. Since the greenhouse effect creates a warmer Earth, the more greenhouse gases that are released into the atmosphere, the warmer the planet will become. This has occurred through the centuries through the burning of fossil fuels and biomass as well as other natural processes. With so many people on this planet (over 7 Billion), it’s not hard to see how the release of pollutants and burning of fossil fuels could have altered the makeup of the atmosphere. The International Panel on Climate Change (IPCC) has come to the consensus that the changes in the atmosphere have likely influenced precipitation, temperature, sea level, and storms on Earth. A great deal of greenhouse gas emissions from human sources are believed to increased in the future, however, not all of them will. The expected increase in greenhouse gas emissions can be slowed or reduced with efforts to expand renewable energy and cleaner technologies. Everything makes a difference, especially our everyday choices about housing, commuting, recycling, and electricity usage can help decrease total greenhouse gas emissions. What is the Conference of the Parties? or COP? The Conference of the parties (COP) is the highest ranking decision creating association of the United Nations Framework Convention on Climate Change (UNFCCC). There are 195 representing countries in the Conference of Parties. Every government that is part of the Convention assesses and contributes to any group decision that is made. The countries are divided into three categories, but only two categories are listed on the UNFCCC website, Annex 1, and non-Annex 1. The third group Annex 2 are countries that are a part of Annex 1, but they do not include “economies in transition” and are classified differently because they are required to help pay for emission reduction goals for developing countries that can’t afford the ambitious emissions reduction targets. In 1992, about two decades ago, several countries decided to join in on an international treaty called the United Nations Framework Convention on Climate Change (UNFCCC). The treaty’s purpose was for countries to work cooperatively to limit average worldwide temperature increases from human induced global warming. 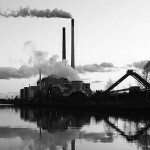 Countries became aware that the emission reductions they had sought in the Convention were not going to cut it. So they re-grouped and launched COP-1 (Conference of the Parties) in Berlin, Germany where governments decided to institute a legal instrument to cut greenhouse gas emissions from developed nations. 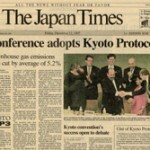 Two years down the road, this led to the famous Kyoto Protocol in 1997. The Kyoto Protocol is a tool to legally bind countries to emission reduction goals which started in 2008 and ends in 2012. 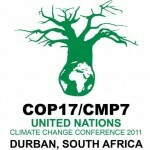 The main goal of the annual COP conventions (most recent was COP-17 in Durban, South Africa) is to define what will happen after 2012, when the Kyoto Protocol ends. Their is a lot of negotiating and back and forth between the 195 countries which almost to be expected for such a complex issue such as global warming. Since the impacts of global warming has the potential to be affected by so many different aspects of our lives, global warming is not just about Earth’s climbing temperatures. 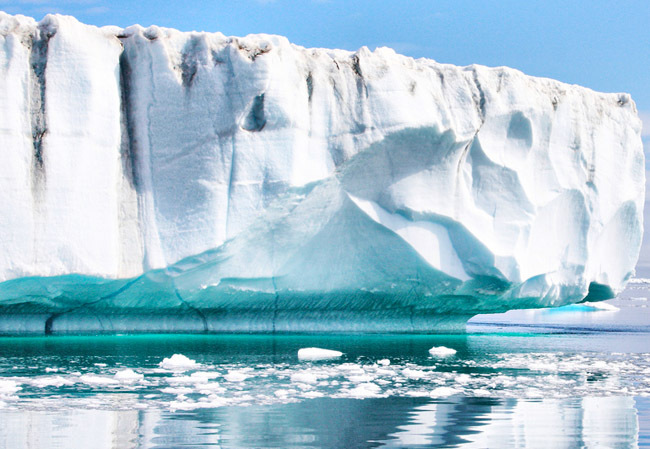 Global warming is also about how it’s effects on poverty, population growth, economic development, resource management, and many more global and environmental issues. It’s amazing that on an international scale, so much history has already taken place. Humanity has come together to accept the reality that humans have created a problem, and they have come together to accept an action plan to resolve the problem as best as possible. That is history, and with the latest news out of the Durban Conference COP-17, history in the making is what mankind does best. References: IPCC Reports, US EPA, and UNFCCC. Photo Credits: Some rights reserved by christine zenino, longhorndave, eutrophication&hypoxia on Flickr.